We offer professional document translation and interpreting services to our English and Russian speaking clients in Russia, Australia and other countries. We are fast, accurate and cost-effective! Please contact us for any English to Russian and Russian to English language services. 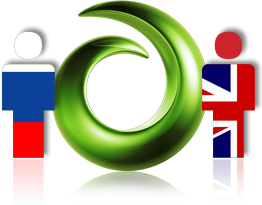 Our Russian English translation services cover all of Australia (Brisbane, Sydney, Melbourne, Canberra, Adelaide, Perth, Hobart etc) as well as overseas. For onsite assignments, our Russian interpreters service Brisbane and Gold Coast metropolitan areas. We also offer hosted teleconference interpreting services across Australia. Please feel free to enquire or request a quote for your translation online! Fast response! Response within 12 hours outside of working hours and on public holidays!